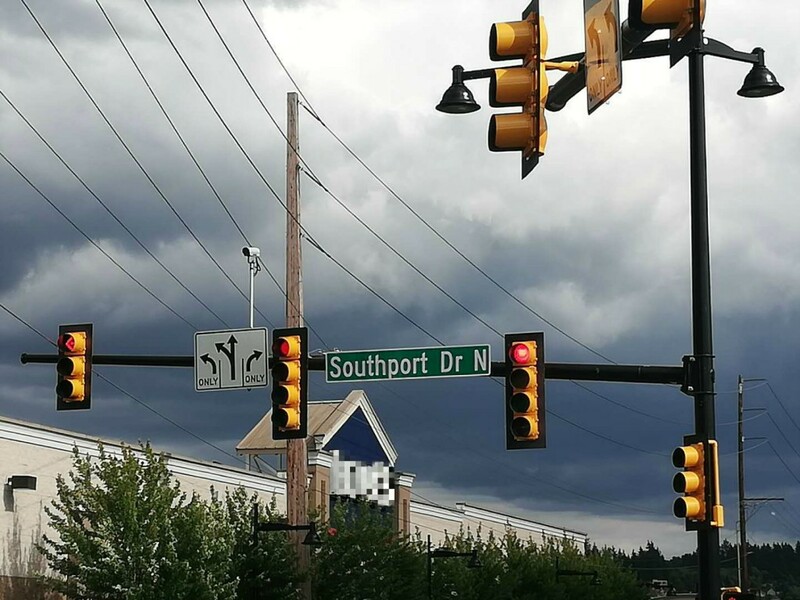 In recognition of Southport’s contribution to local job creation and economic development, City of Renton has renamed the road from I-405 to Southport as Southport Dr N.
Tower 1 construction continues this month with predominantly interiors and roof work. 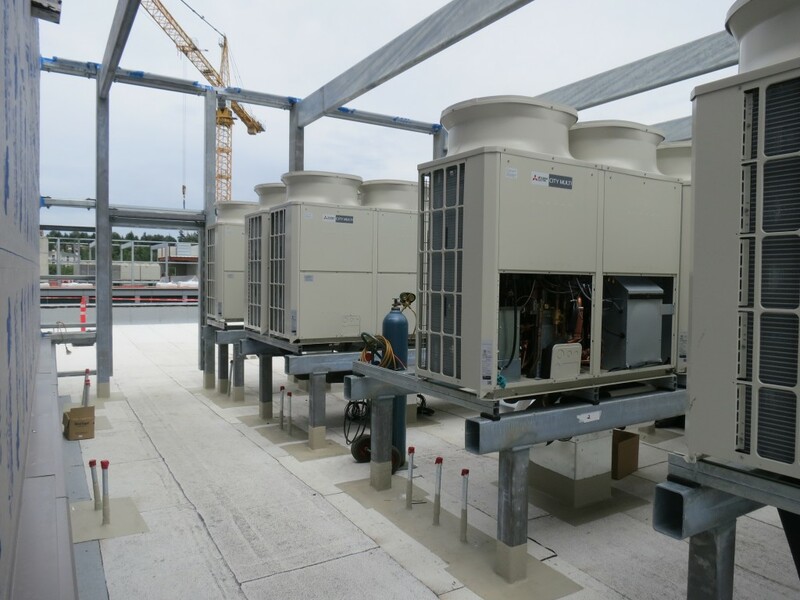 At the roof, the mechanical equipment is being installed, balanced, and tested. The perforated metal panel screen wall will start install by the end of the month. 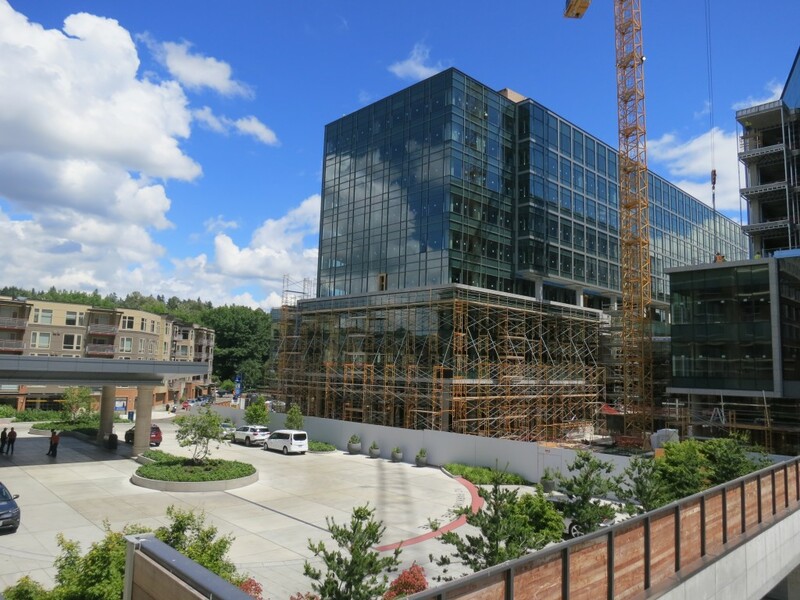 The exterior stone looks great at the lower levels as complimentary interior stonework at the building main entry will be complete by the end of the month. 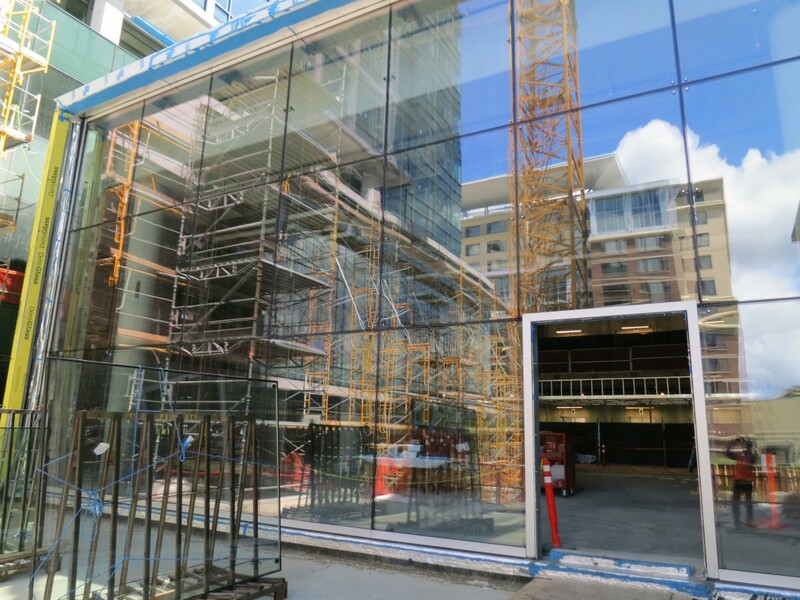 The structural glass wall at the main lobby has been installed which will allow the main lobby to get dried in and finishes to commence. 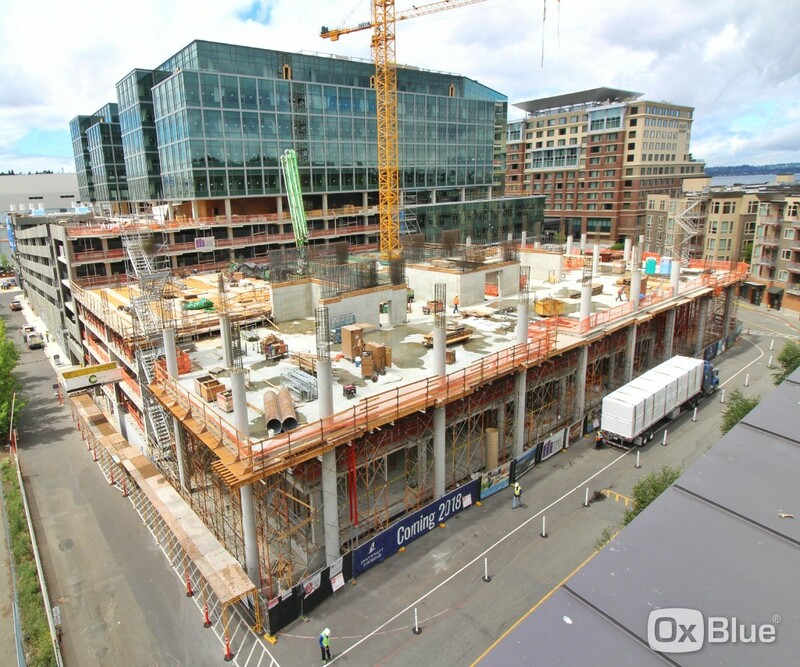 Sheetrock work in the tower is ongoing and is complete up to level 5. Floor tile will begin later this month as well. Mechanical, electrical, and plumbing rough-in is ongoing up the tower and approved for sheetrock cover up to level 7. The interior elevator finishes are ongoing as well. 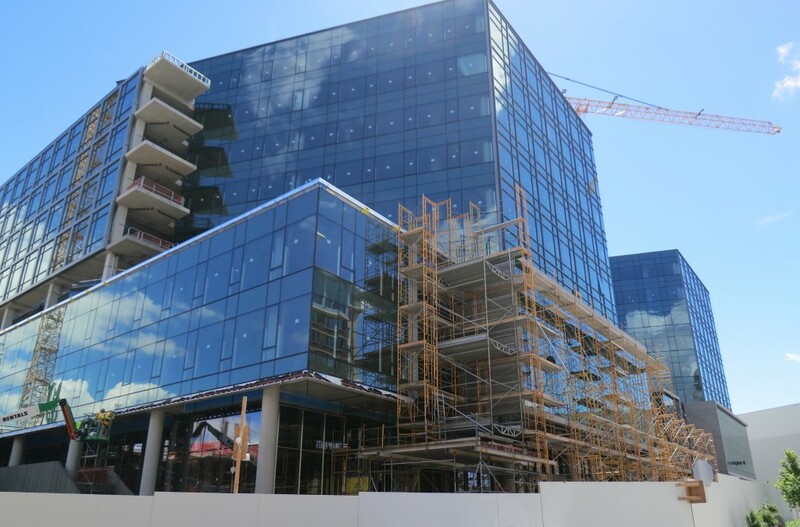 Tower 2 curtain wall was completed this past week! 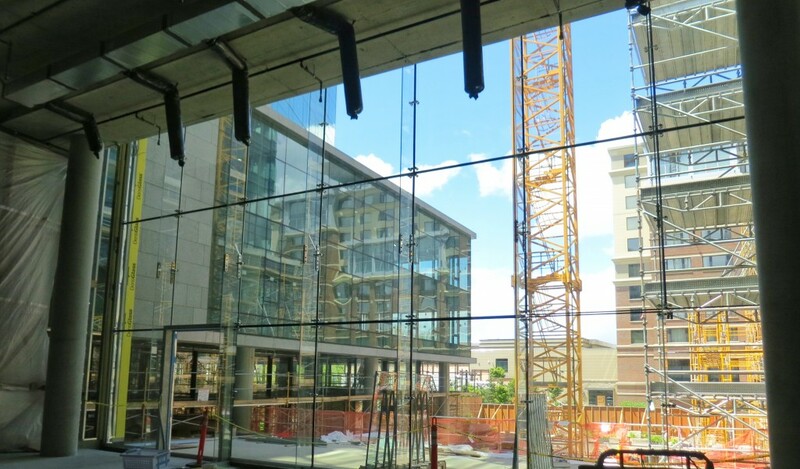 Storefront windows at the lower level retail are complete as the entry vestibule framing and preparation for site work continues this month. 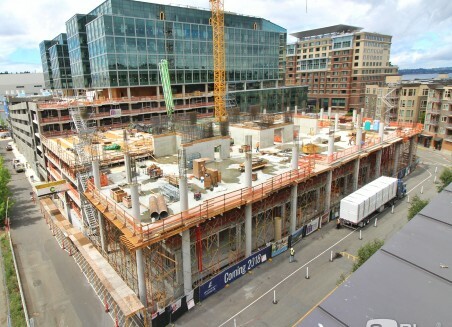 Framing in the tower is complete to level 9 along with ceiling framing complete to level 7. 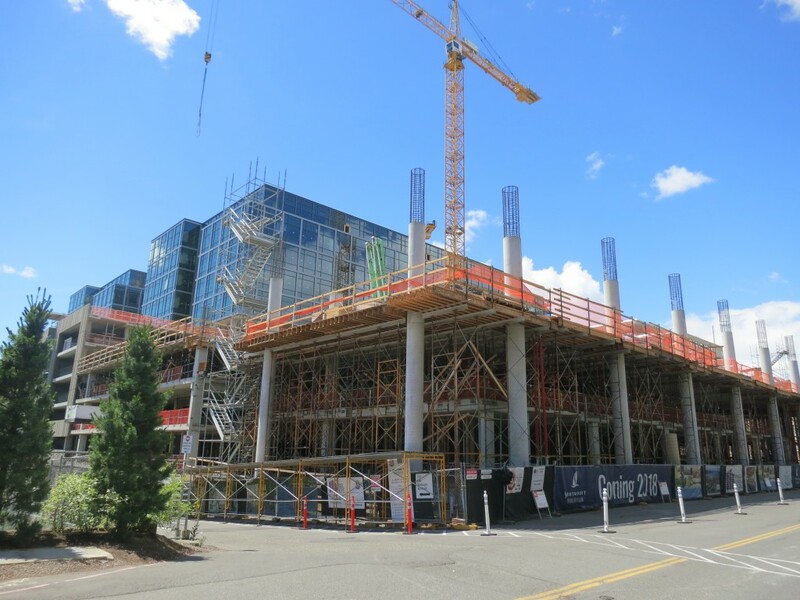 Sheetrock work will begin at level 3 by the end of June. 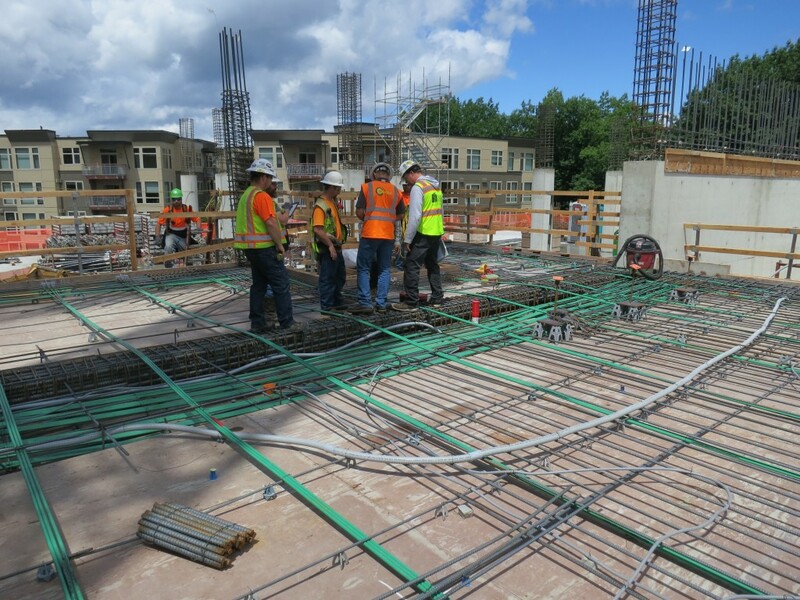 Mechanical, electrical, plumbing rough-in is ongoing up the tower. 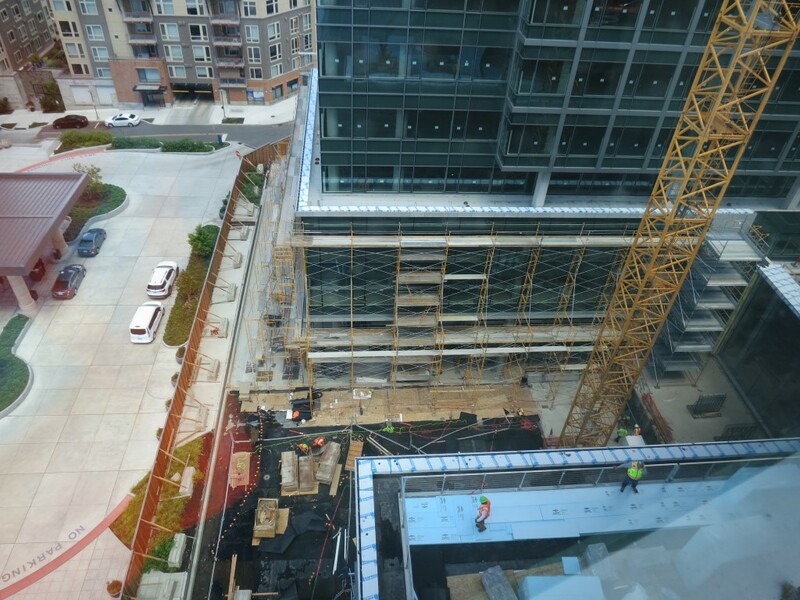 The tower elevators have begun install while the level 3 terrace skylight is on schedule to be installed by the beginning of July. 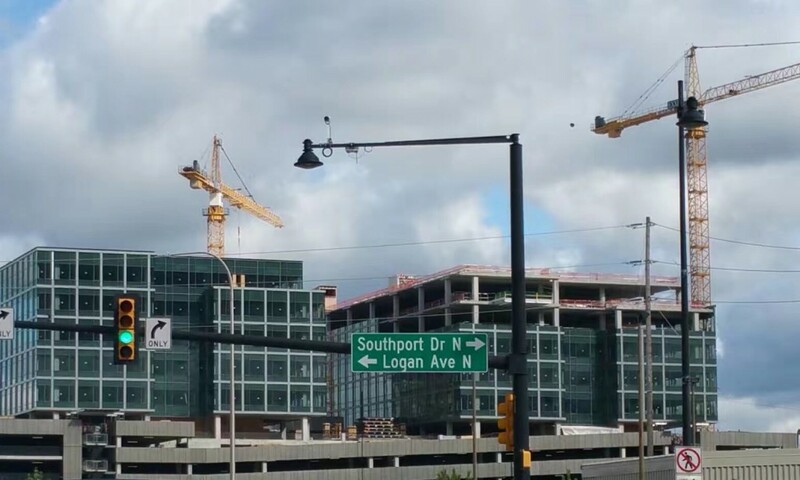 Site preparation has been ongoing for the plaza area between towers 1 and 2. 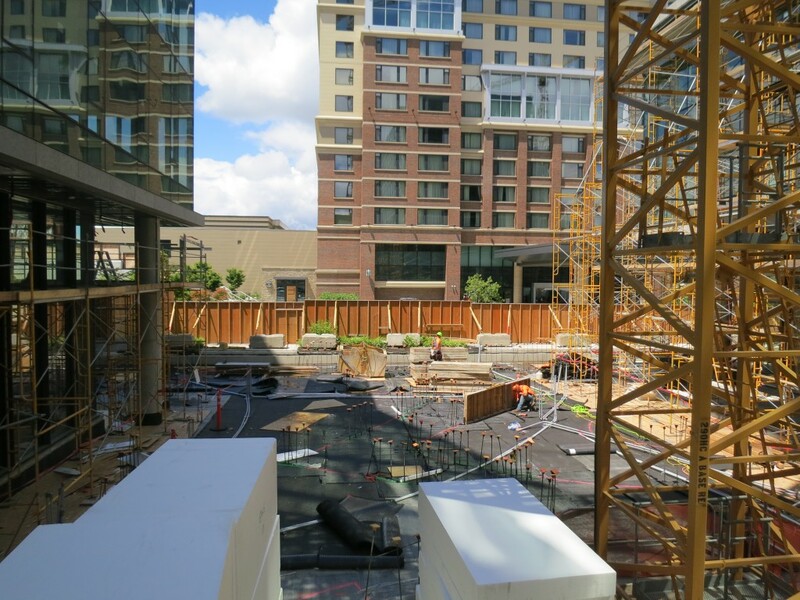 Site preparation includes waterproofing, planter construction, irrigation/lighting rough-in, and hardscape. 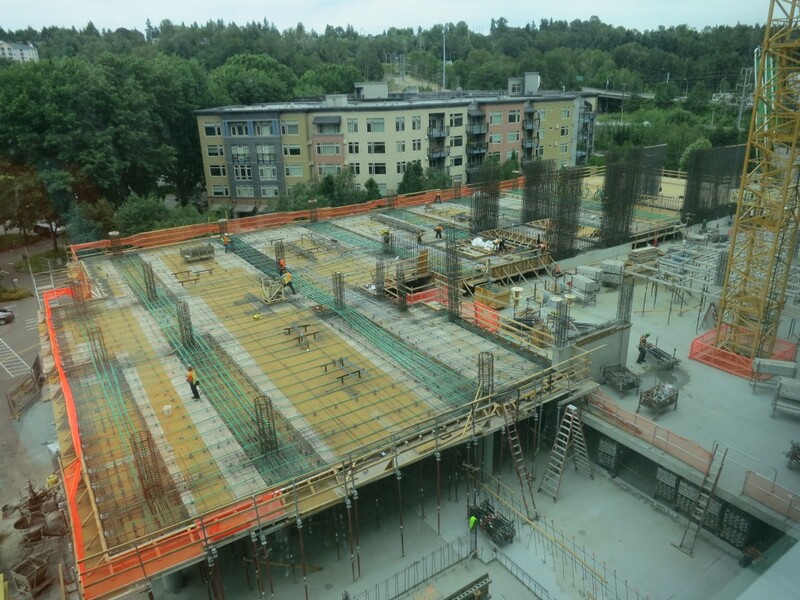 Tower 3 concrete decks are currently up to level P3/Office level 2 and will continue through the end of 2018. The garage is operational for six levels of self-parking. Hyatt guests and employees are currently using the garage.